The ranks of the super-wealthy are growing quickly in China -- and nowhere more than Zhejiang province. Zhejiang has produced 72 billionaires, second only to California with 92, according to exclusive data from the Hurun Report. Within Zhejiang, 32 billionaires live in the capital city of Hangzhou, where the G20 was recently held. That's more than Paris (30) and the city of San Francisco (28). So, what exactly makes this area such a wealth creator and magnet? 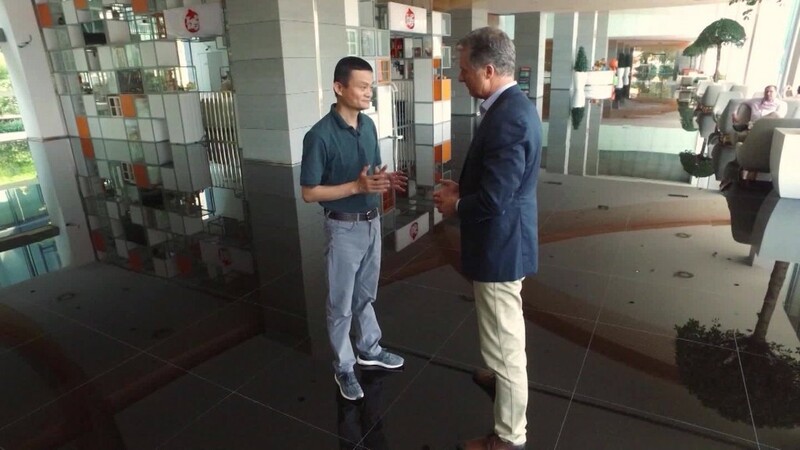 As a Hangzhou native, I asked Jack Ma, my hometown's richest and most recognized entrepreneur. "[It's] Hangzhou's surroundings, Hangzhou's culture, Hangzhou's history," the Alibaba founder said in an interview at the company's headquarters. Ma launched Alibaba (BABA) in Hangzhou in 1999 and has stayed put ever since. 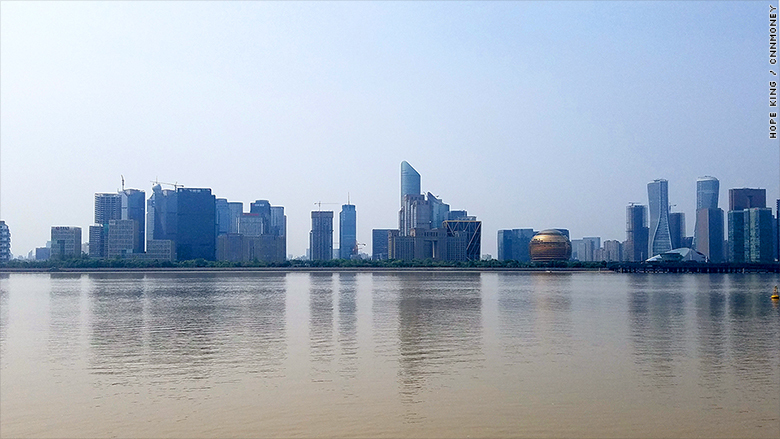 The city, located 100 miles southwest of Shanghai, is a fitting homebase given its historic role as a trading hub and regional center. Hangzhou served as China's capital during the Southern Song dynasty, a period from 1127 to 1276, where there was immense economic, political and cultural development. 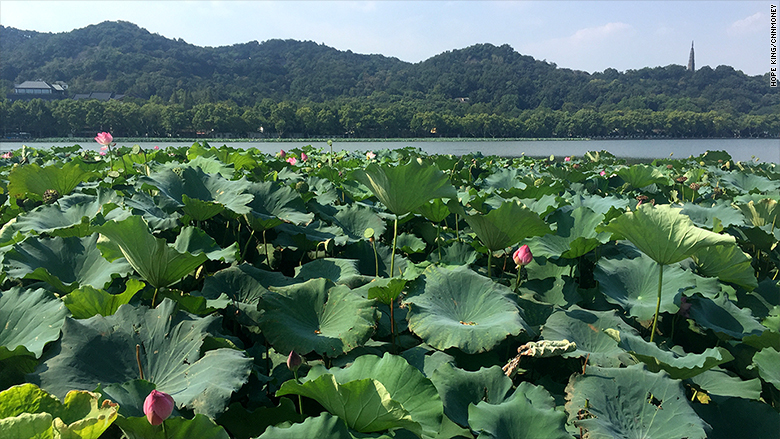 Thanks to its lush and scenic landscape, namely the West Lake, Hangzhou attracted scholars, artists, poets and philosophers. Because of its location in the Yangtze River Delta, it became the southernmost point for the Grand Canal, which enabled domestic and international trade. Hangzhou's modern history played a role in China's greater development too. In 1972, President Richard Nixon became the first U.S. president to travel to China. Hangzhou was one of the few places he visited. "[The city] was an early participant in the opening of China," said Ma, who was born in 1964. "And because Hangzhou became open, a lot of foreign visitors -- a lot of American visitors -- could come ... I especially benefited from Hangzhou's openness to foreigners." As a teen, Ma would ride his bike to the West Lake to practice English. This led him to develop lasting friendships and learn about Western culture early on. When economic reforms first swept China in the 1980s, Hangzhou and other Zhejiang cities like Ningbo and Wenzhou were quick to jump on board and create private companies, according to Chen Zongnian, chairman of Hikvision, one of the world's largest suppliers of surveillance cameras, and another Hangzhou-based firm. The "first generation" of entrepreneurs during this period built businesses dependent on manufacturing and unskilled laborers, producing everyday goods like shoes and clothing. Chen called them "daring," possessing a "you'll succeed as long as you try" mentality that influenced the next generation. The second group of entrepreneurs, which came about in the late 1990s and early 2000s, had more high tech skills. Now, there's a third wave -- with businesses that produce internet-based services like platforms for smart homes and artificial intelligence. "They can stay and build here because they have previous business models to look to, and access to more local capital," he said. 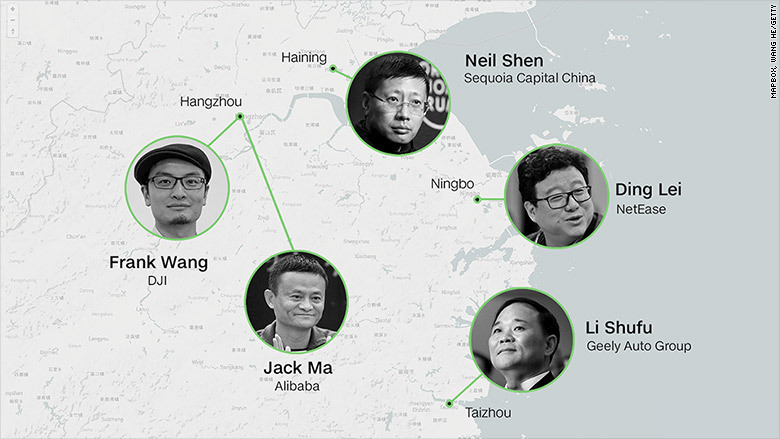 Among the 72 billionaires from the Zhejiang region are Neil Shen, a venture capitalist and founder of Sequoia Capital China in Beijing; Ding Lei, founder of NetEase, also in Beijing; Frank Wang, founder and CEO of drone-maker DJI, based in Shenzhen; and Li Shufu, founder of Geely Auto Group, which owns Volvo and is based in Hangzhou. "Zhejiang province people are head and shoulders above other entrepreneurs in China," Hurun Report chairman Rupert Hoogewerf told CNNMoney. "They're highly collaborative and versatile." Even though people from Zhejiang make up about 5% of China's population, the region produces about 15% of the country's richest people, according to Hoogewerf. He also believes that Zhejiang will continue to produce more millionaires and billionaires, mainly because of Ma. "Ma has worked with so many partners in China," Hoogewerf said, noting the billionaire's wide-ranging investments. Over the past six years, Alibaba has spent about $30 billion to $40 billion on over 100 investments and acquisitions. And Ant Financial, which was formerly called Alipay and spun off from Alibaba, will eventually have an IPO, likely making yet another billionaire in CEO Lucy Lei Peng, who Hurun estimates to be worth about $940 million. "Alibaba and Ant Financial have already created more people on our rich list than any other company in China," said Hoogewerf. "They're a great example of what cooperation can yield." "I wouldn't say Alibaba is that successful," he said. "Hangzhou has been a huge help to me. I will always be grateful for this city."